Sudan’s intelligence and security chief has ordered the release of all persons detained during protests that have roiled the country since December 2018. Reuters and AFP news agencies reported the latest development citing the Sudanese information ministry. Security agencies have been accused of mass arrests an the use of disproportionate force to disperse unyielding protesters who have marched almost on a daily basis across the country. A journalist in the capital Khartoum, Hassan Ahmed Berkia, has reported that state intelligence agency, NISS, today confiscated editions of the popular daily, Al-Watan newspaper. The latest move confirms a long standing government tactic in seeking to suppress the independent media. NISS had also prevented printing of Al Jareeda and Al-Tayar dailies on Monday and confiscated the Al-Baath weekly after it had been printed. 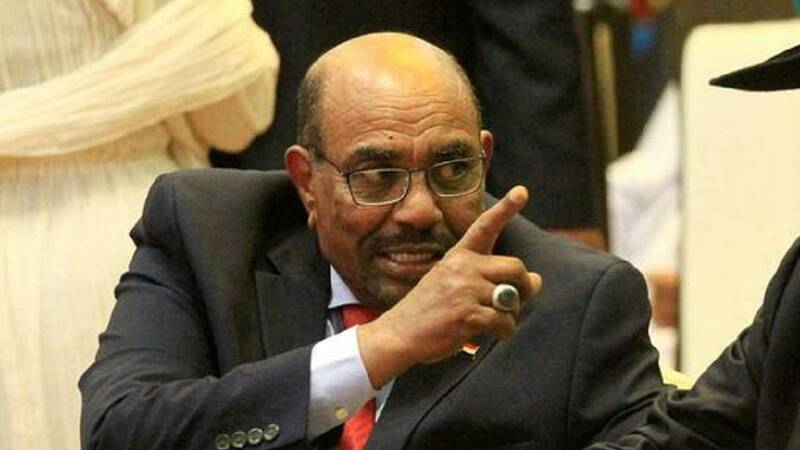 President Omar Al-Bashir has slammed the manner of media reportage on the ongoing protests. Speaking on his second trip outside Sudan since the protests started, Bashir suggested in Egypt that the media was over blowing the crisis. “This is an attempt to copy the Arab Spring in Sudan, these are the same slogans and appeals and the very wide use of social media sites,” he said during a press conference. Weeks back, the government expelled a number of foreign journalists covering the development. A “wanted list” for over 30 journalists was also released. The protests continue in different parts of the country making it difficult for security service to contain the spread and effect. Port Sudan was on lock down yesterday, January 28. Speaking next to his Egyptian counterpart Abdel Fattah al-Sisi, Bashir blamed unnamed “harmful organisations” for working to destabilise the region. In Khartoum sit-ins began in some public squares in response to an appeal from a professionals’ association that has led calls for protests. Protests raged across Sudanese cities on Thursday and another demonstrator died in the most widespread rallies of anti-government unrest that began last month. The 24-year-old man died from his wounds in Omdurman, a city across the Nile from the capital Khartoum, where crowds were railing against Sudan’s three-decade president Omar al-Bashir. That took the official death toll from unrest since Dec. 19 to 29, a government investigatory committee spokesman, Amer Mohamed Ibrahim, said. Rights groups put the total at more than 40. Trouble raged into the night in Omdurman, with smoke billowing over a street barricaded by steel poles, burning tyres and tree branches. Triggered by a worsening economic crisis, protests calling for Bashir to step down have spread into the most sustained challenge yet to his rule. The opposition Sudanese Professionals’ Association, a union group that has led calls for demonstrations, had urged protesters to rally from early afternoon and march to Bashir’s palace on the banks of the Nile. The Sudanese Engineers Federation staged a sit-in protests in a suburb of the capital Khartoum today, multiple sources confirmed. The action was dispersed by security forces. 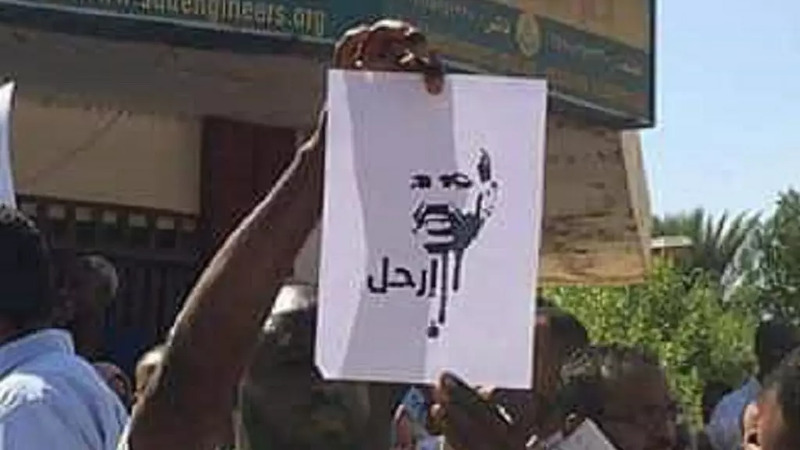 The protesters were holding printouts of the president’s face with the word “leave.” Aside the capital, sit-in protests were also staged at Al-Mazmoom in the Sennar state. Meanwhile president al-Bashir is in Qatar, his first foreign trip since the protests began in December 2018. His host the Qatari Emir Sheikh Tamim bin Hamad Al Thani is reported to have said he supported Sudan’s unity and stability. He met with Al-Bashir today, the Qatari royal court said. Bashir arrived in Qatar on Tuesday amid near-daily protests that have broken out across Sudan calling for the end of his 30-year rule. The two leaders discussed the “latest developments” and “challenges” facing Sudan as well the peace process in Sudan’s war-torn Darfur region, the statement said. The Sudanese government on Monday withdrew work permit for a number of foreign journalists working in the country, multiple sources disclosed. The affected journalists are from Qatar-based Al Jazeera, Saudi-owned Al Arabiyya and Turkey’s Anadolu News Agency. Reports also indicated that authorities confiscated editions of the al-Tayar, al-Jareeda, al-Ba’th, al-Midan newspapers and ordered the suspension of journalist Suhayr Abd al-Rahim over his writings. Protests meanwhile continue to rock parts of the country calling for the resignation of the government. President Al-Bashir has continued to stress that polls scheduled for 2020 were the only way he could be ousted from power. Embattled Sudanese president Omar Al-Bashir has reiterated his call for protesters to realise that the only credible way to change government is via the polls. He has stressed this point in previous addresses at pro-government rallies held to counter the dogged anti-government protests that broke out since last December. Meanwhile protests continue to roil parts of the country with its attendant crackdown by members of the security forces using tear gas and live bullets to disperse protesters. Mourners also blocked a main street in the Burri district of the capital Khartoum with stones and chanted “There is no God but God!” and “Martyr! Martyr!”. Several were wailing and crying and some were carrying Sudanese flags. After Othman had been buried and the weekly Muslim Friday prayers began at noon, the mourners dwindled to hundreds who began chanting “Down, that’s it”, which has become the slogan of protesters signalling their main demand for Bashir to step down. They also chanted “Freedom! Freedom!” and “A million martyrs for a new era!” Some stood on the overturned police car. Security forces have at times used live ammunition to disperse protesters. The official death toll in five weeks of protests stands at 24, including two security forces personnel. Rights groups say the figure may be nearly twice as high. Sudanese intelligence agency officials have rearrested one of the country’s famed journalists, Faisal Mohammed Salih, reports indicate. Organizers have also confirmed to the AFP news agency that two people were killed in today’s protests. NISS officials are said to have detained Faisal and two other journalists from the offices of the Al-Youm Al-Tali newspaper. Faisal was previously arrested on January 3 and held for about two days before his release without charge. The exact circumstances surrounding the latest arrests are yet to be established but it is believed to be linked with the current protests. The government has a notorious reputation for clamping down on the media. As of today, protests continue to roll on in parts of the country as has been the case since mid-December 2018. Areas hit by today’s rallies included the capital Khartoum, North Kordofan and Dafur regions. There are also reports that security forces fired tear gas as usual to disperse protesters whiles some witnesses reported the use of live rounds during protests in the city of Burri. Mahmoud Al-Gamal, an aide to a former ally of president Al-Bashir has been arrested according to reports. Mahmoud’s boss, Dr. Ghazi Salaheldeen served in the government between 1989 and 2013 when he quit over mistreatment of protesters. He currently leads a coalition of opposition coalitions. He joins the list of former administration officials calling for an end to the regime and for the installation of a transitional, democratic government. The president has rubbished calls to step down, he says he will only do so if he loses elections slated for 2020. Meanwhile a new day brought new set of protests in parts of the country. Lawyers in Ad-Damazin, Blue Nile State. Today’s round of protests were south of the capital, Khartoum, in the town of Kalakala as security agents fired tear gas to disperse hundreds who marched on to the streets. Even as security forces have given protection to pro-government rallies – some attended by embattled president al-Bashir, most anti-government protesters have been met with a wave of arrests and tear gas. In this video – transmitted from Kalakala a little while ago – protesters chanting “peaceful, peaceful, against the thieves” have to run as they are heavily tear-gassed. “There’s only one road to power and that is through the ballot box. The Sudanese people will decide in 2020 who will govern them,” President Bashir is quoted as saying at the rally in Niyala, the capital of South Darfur state. Protests continue to rock different parts of the country calling for his resignation after thirty years in power. This is not the first time Bashir is flatly refusing to be bogged by the rolling protests. Whiles security forces have given protection to pro-government rallies, most anti-government protesters have been met with a wave of arrests and tear gas. The president also reportedly thank neighbouring countries that he said were supporting the regime’s efforts to stabilize the country. He thanked South Sudan, Eritrea, Ethiopia and Niger. The South Sudan government has publicly said it supported the Al-Bashir government in the wake of protests. Bashir has in a previous rally in the capital Khartoum, thanked other allies, amongst them: Egypt, Qatar, China and Russia. He has routinely dismissed other countries he says are propping up protesters. Security forces have been deployed in the town of Bahri, located north of the capital Khartoum, as at Sunday (January 13). Protests were called for Bahri and other towns.